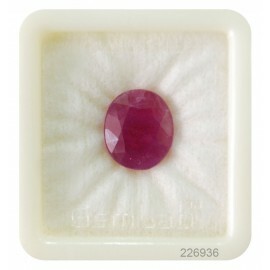 I ordered a 13 ratti ruby gemstone with ring making option. I was very happy to order the gemstone ring along with the ruby gemstone. Delivery was quick and as discussed with the customer support executive. The ring size and quality of setting was perfect. I would highly recommend buying quality natural gemstones from 9Gem.com.